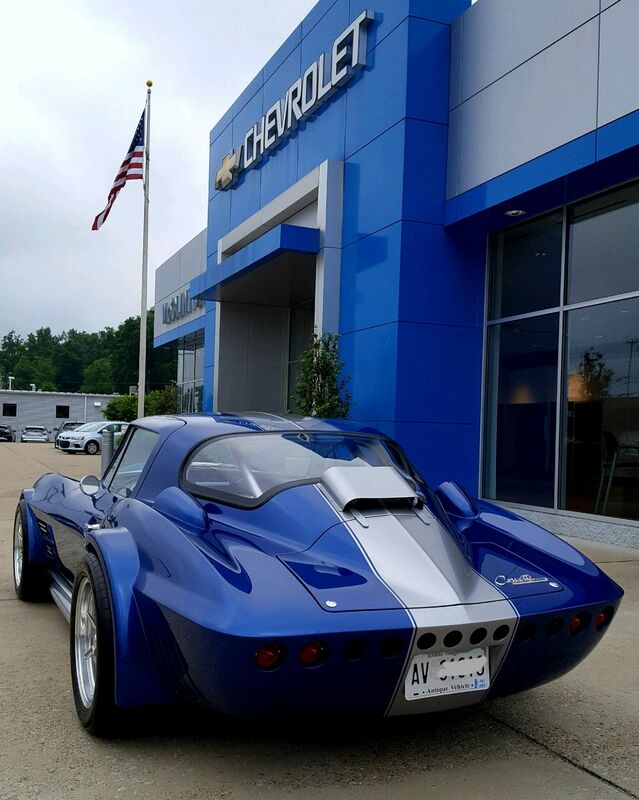 Our customer Steve chose a great color scheme for his 1963 Grand Sport Corvette. His car turned out really nice!! The building color in the background is a perfect match to Steve’s GS not to mention the American Flag makes this picture perfect!! Our Mongoose Motorsports Grand Sports are proudly made right here in the United States Of America! !